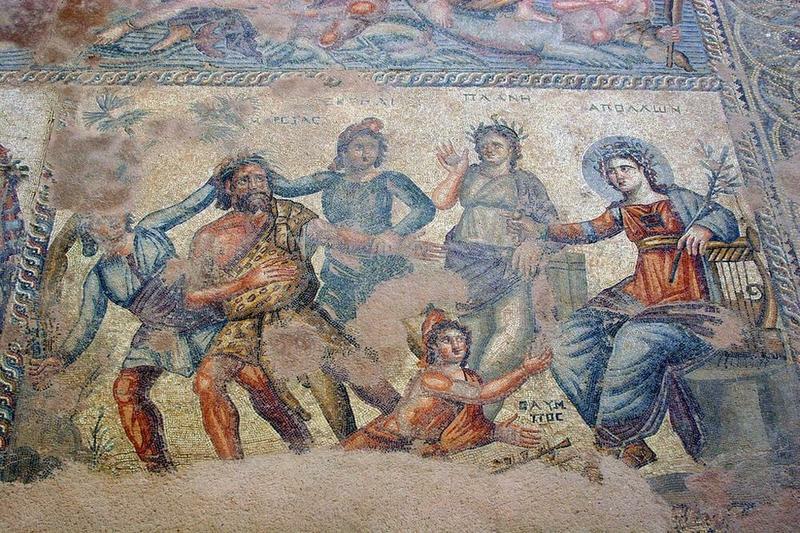 The ancient city of Paphos in Cyprus was once the capital of the island during the Greco-Roman period. During its time, the city had some of the finest villas in the Eastern Mediterranean belonging to Roman governors and rich noblemen. 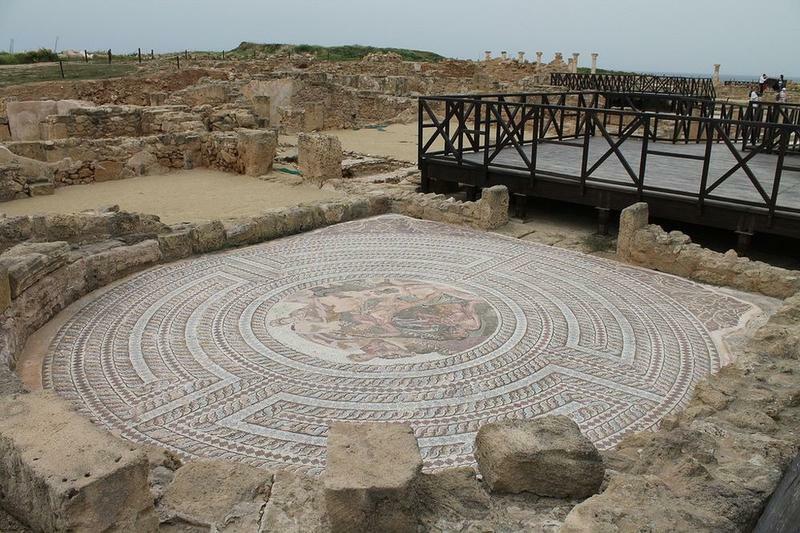 The floors of these villas were adorned with beautiful mosaic art depicting scenes from ancient Greek mythology, with representations of Greek gods, goddesses and heroes, as well as activities of everyday life.Many of these villas and their mosaic floors were discovered only during the past fifty years during archeological excavation. Many of these sites are still being excavated today. 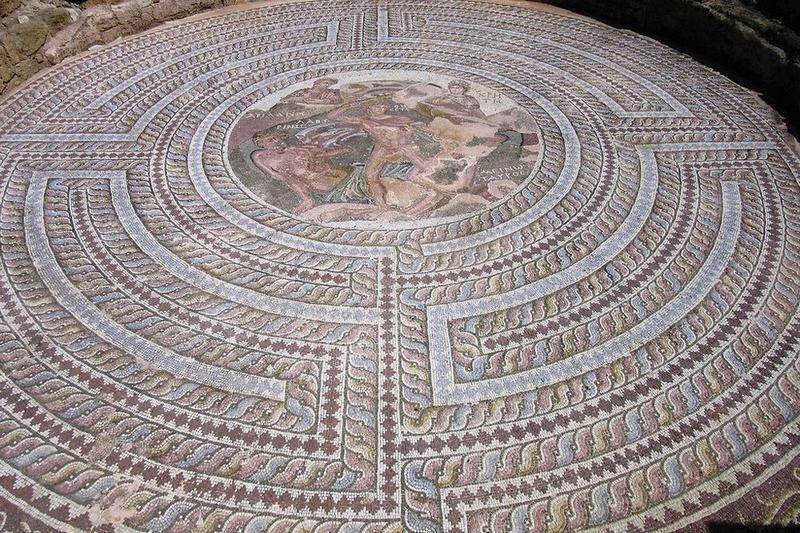 The mosaics can be seen on mainly four houses — the House of Dionysus, the House of Orpheus, the House of Aion, and the House of Theseus. The houses are named after the subject of mosaics found there. 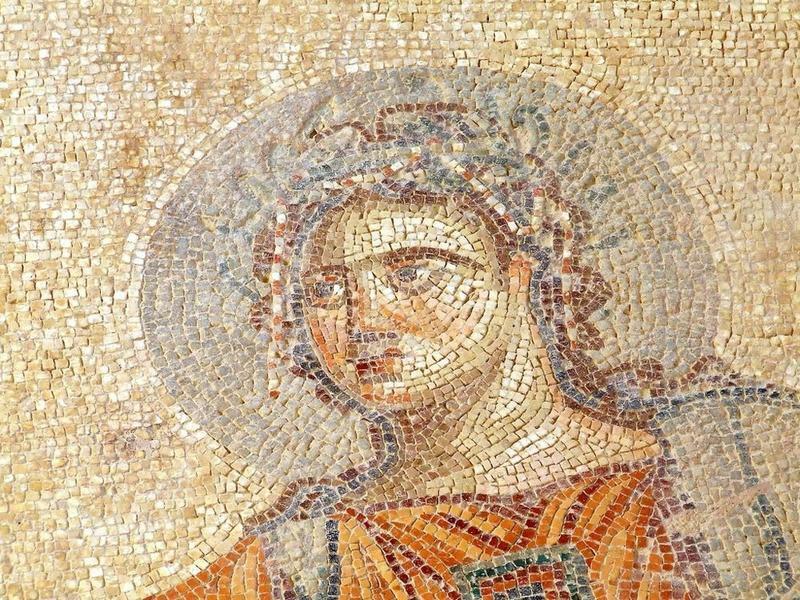 The House of Dionysus is the largest and contains the most impressive mosaics, most representing Dionysus, the ancient Greek god of wine. The house was constructed towards the end of the 2nd century AD, and it is believed to have been destroyed and abandoned after the devastating earthquakes that hit the island in the 4th century AD. These mosaics cover about 550 square meters of floor. 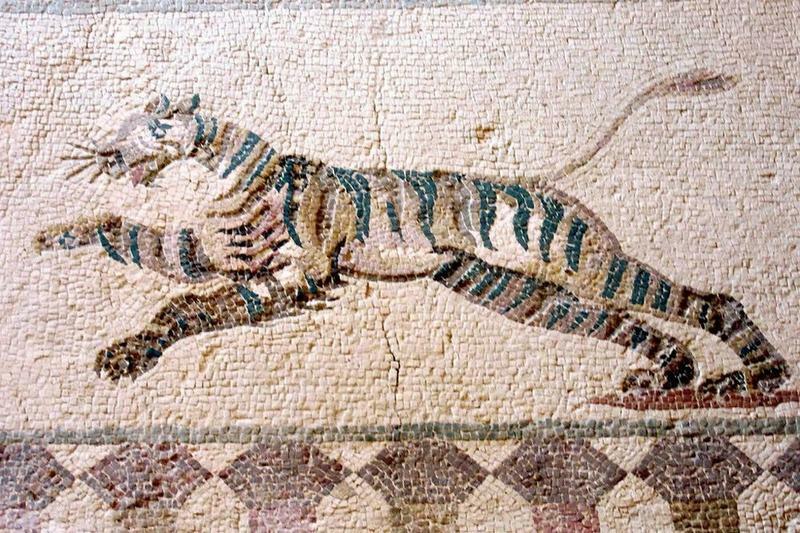 The House of Orpheus was named after the main mosaic found in the house, that depicts Orpheus surrounded by beasts listening to him play his lyre. 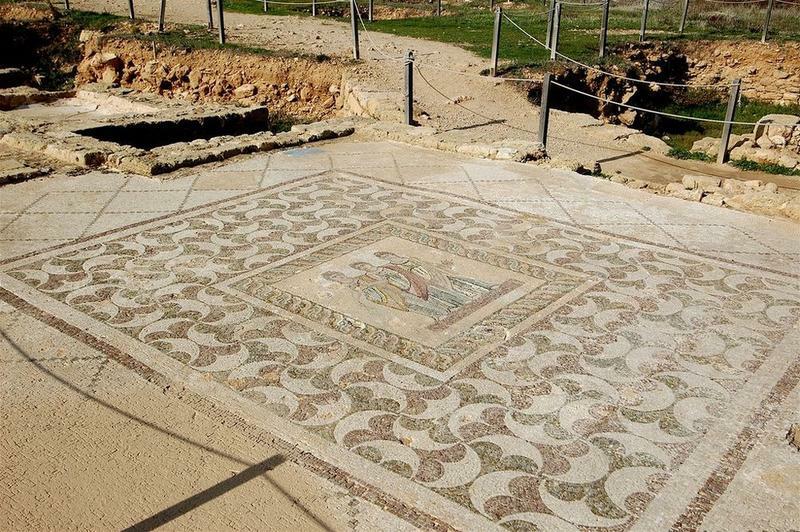 Other mosaics found include one depicting Hercules and the lion of Nemea and another of Amazon. 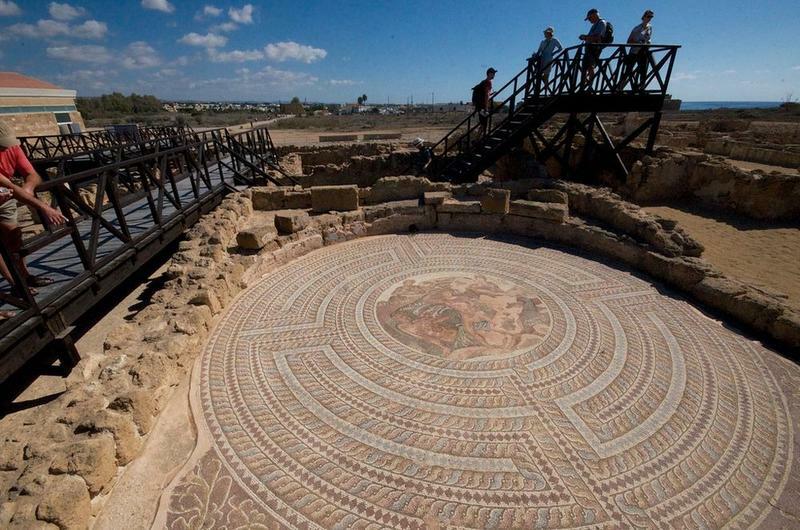 The House of Theseus is the largest Roman villa found in Cyprus built in the late 2nd century, and thus it is believed to have been the home of a governor. The house was in use even after the catastrophic earthquake. 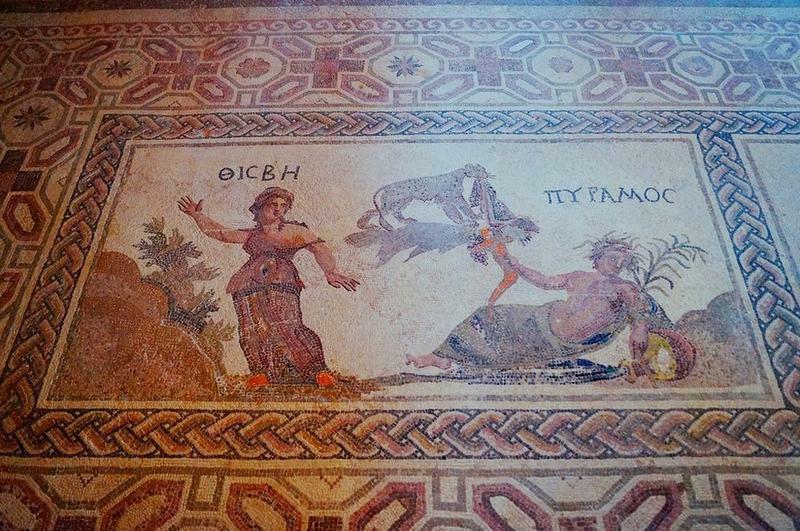 The house’s principal mosaic shows Theseus killing the Minotaur. 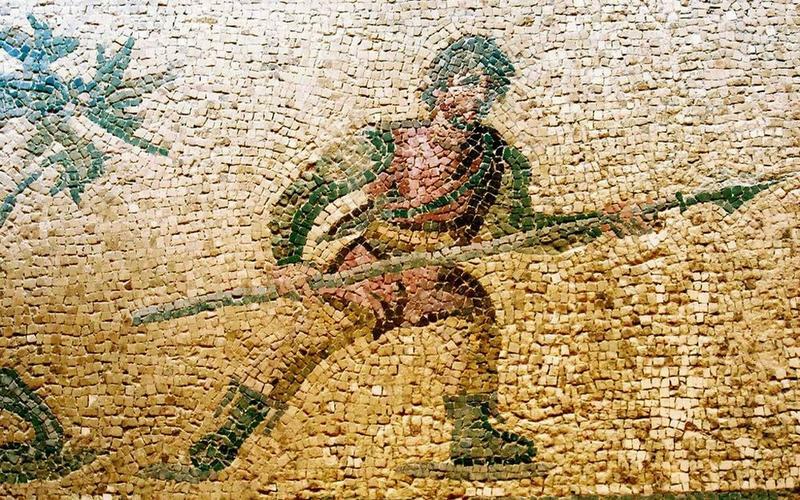 These mosaics are less well preserved, and open to the elements. 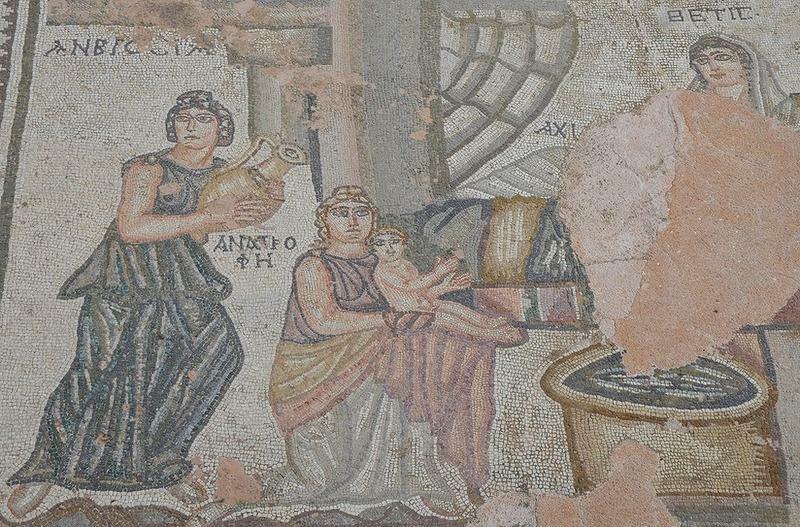 The House of Aion is the smallest and contains one large mosaic showing five scenes. At the top left is Leda and Zeus disguised as a swan. In the top right corner is the picture of baby nymphs with the baby Dionysus. The middle picture shows sea nymphs in a beauty contest, being judged by Aion. 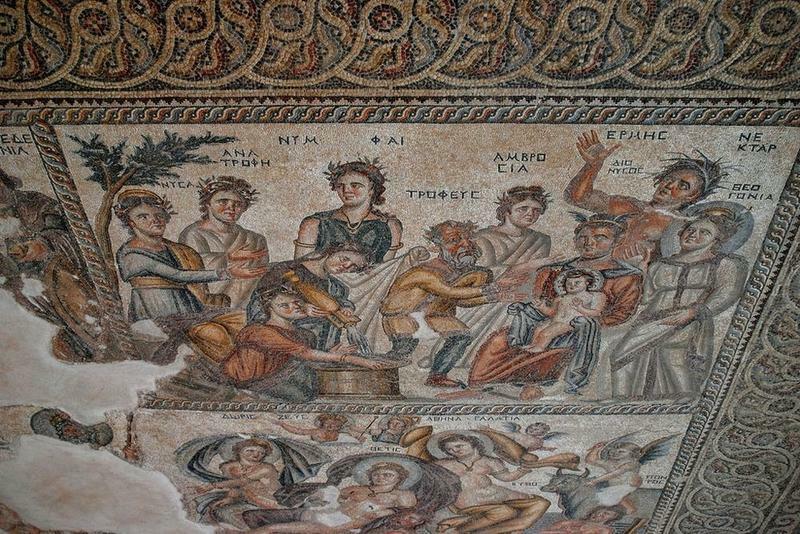 In the bottom row Dionysus appears again in a triumphal procession, and the final picture shows Apollo punishing the loser of a musical duel.